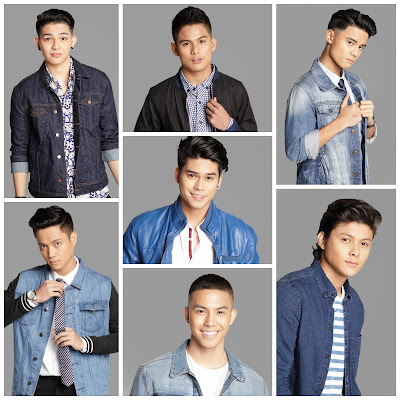 Chikkaness Avenue: WHO WILL MAKE UP THE NEXT ULTIMATE BOYBAND IN “PINOY BOYBAND SUPERSTAR”? Russell, the Fil-Am-azing Boy of Illinois, has displayed consistence in his singing prowess and continues to learn the Filipino language. Be sure to tune in to the two-day finale to vote for your favorites through text and online via Google. To vote, just text BB (space) NAME OF CONTESTANT and send it to 2366. Only one vote per SIM card will be counted. To vote online, just Google “PBS VOTE” and click the photo of your chosen grand finalist and hit the “submit vote” button. Only one vote per Google/Gmail account will be accepted. Wait for the cue from host Billy Crawford on Saturday and Sunday if the voting lines are already open. Don’t miss the “Pinoy Boyband Superstar: The Grand Reveal,” to be hosted by Billy Crawford, on Saturday (Dec.10) at 7:15PM, and on Sunday (Dec.11) at 7pm, For updates, visit boyband.ph, likefacebook.com/BoybandPH on Facebook, and follow @BoybandPH on Twitter.